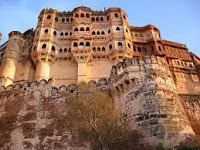 There are seven gates, which include Jayapol (meaning 'victory'), built by Maharaja Man Singh to commemorate his victories over Jaipur and Bikaner armies. Fattehpol (also meaning 'victory') gate was built by Maharaja Ajit Singh to mark the defeat of the Mughals. The palm imprints upon these still attract much attention. 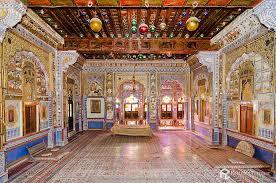 The museum in the Mehrangarh fort is one of the well-stocked museums in Rajasthan. In one section of the fort museum there is a selection of old royal palanquins, including the elaborate domed gilt Mahadol palanquin which was won in a battle from the Governor of Gujarat in 1730. The museum exhibits the heritage of the Rathores in arms, costumes, paintings and decorated period rooms. Nowadays I am in Goa doing my Hotel Management Course. I miss my school friends a lot. During our school days when we were not able to complete our homework at that time every morning we had to stand in front of Principal's Office. When my teachers scolded me, I didn't like it but now I am missing them a lot. I am also missing my sweet School. When we went for a picnic there we had a cooking competition and when we went for trekking there we enjoyed a lot with our school friends. Now I am remembering my school days I am all alone there and remember each and everyone a lot. 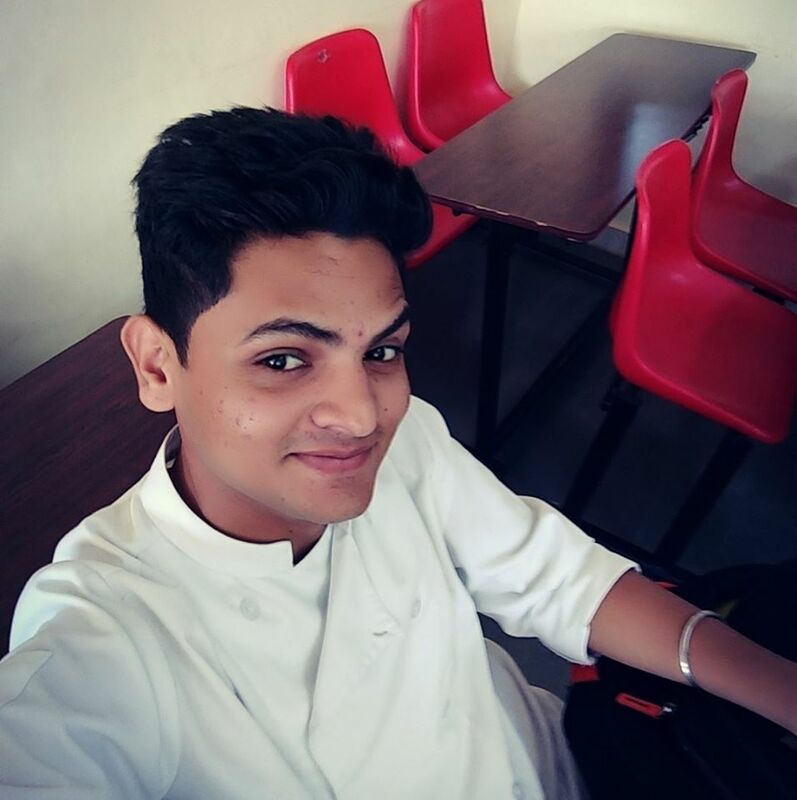 - Mayur Rathore/ Batch 2015-16. Friday, 4th November: Staff had a PDP Session with BAT Chairman Mr. Sandeep Dutt at 3.00 PM in the Staff Room. They were given the theme ‘From Trust to Relationship’. Staff discussed in their groups on how a teacher can develop trust among their students. Each group came out with many good opinions. They said that trust can be developed by collaborating with students by mutual understanding, listening patiently to the students in a positive manner, by motivating the students, praising and rewarding the students. Trust can be developed by believing in oneself and sharing their experiences with the students. Students should be given a free environment so that they can feel free to share their difficulties with their teachers. Interaction in a friendly manner will create a free and happy environment for a student. Love and Care is the most necessary element of trust. It was announced that from now onwards Prerna Rathod will be the Coordinator for PDP Session. Words can be impressive and expressive. Words can destroy a relation. Words can make rivals and friends too. A word said cannot be taken back. Words can make someone love and also hate. Words have a strong impact on humans. Words can work on feelings and emotions. Who has a brain that functions and heart that feels? Thursday, 3rd November: School reopened that day. Excitement and happiness could be seen on student’s faces after ten days Diwali Vacation. They had lots of Diwali stories to share with their friends and teachers. Diwali Break Homework was collected by the teachers in their respective classes. Annual Day’s practice have started in full swing. Friday, 4th November: XII Painting Competition on Energy Conservation was held on 14th September 2016 in the School and it was at school level for Class IV-Class IX and students participated actively in this competition. We are happy to announce that two of the students -Avinash Sain/ IX/ RH and Gajendra Singh Deora /IX/ DH are selected for State Level Competition. They will be going to Jaipur for State Level Competition .Every one congratulated them and wished them best of luck for their State Level Competition.